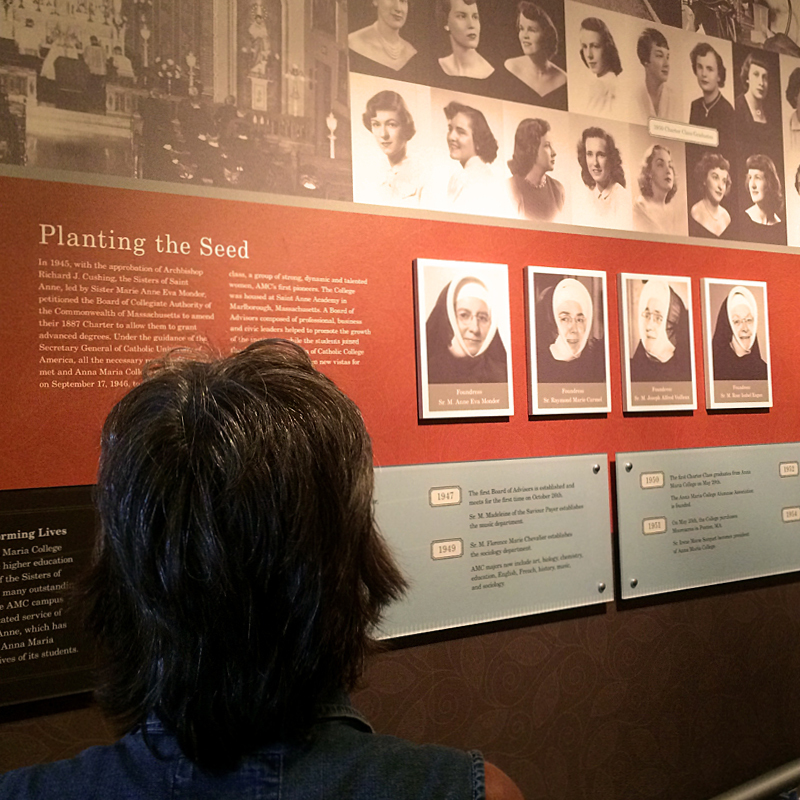 Planning for the school’s 65th anniversary, Anna Maria College leaders reached out with an historic idea—to create a visual installation that conveys the history and mission of the institution. The work would debut at Reunion then remain a permanent fixture on campus in a place of public gathering. 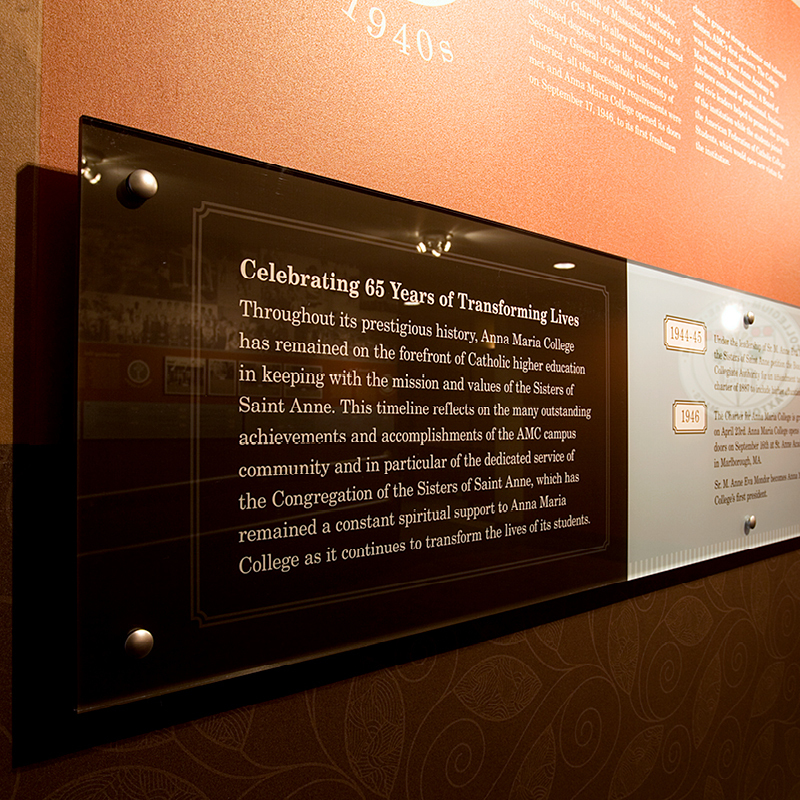 Working closely with the college’s marketing department we defined areas on campus that could accommodate the installation, ultimately selecting the lobby of the school’s theater. 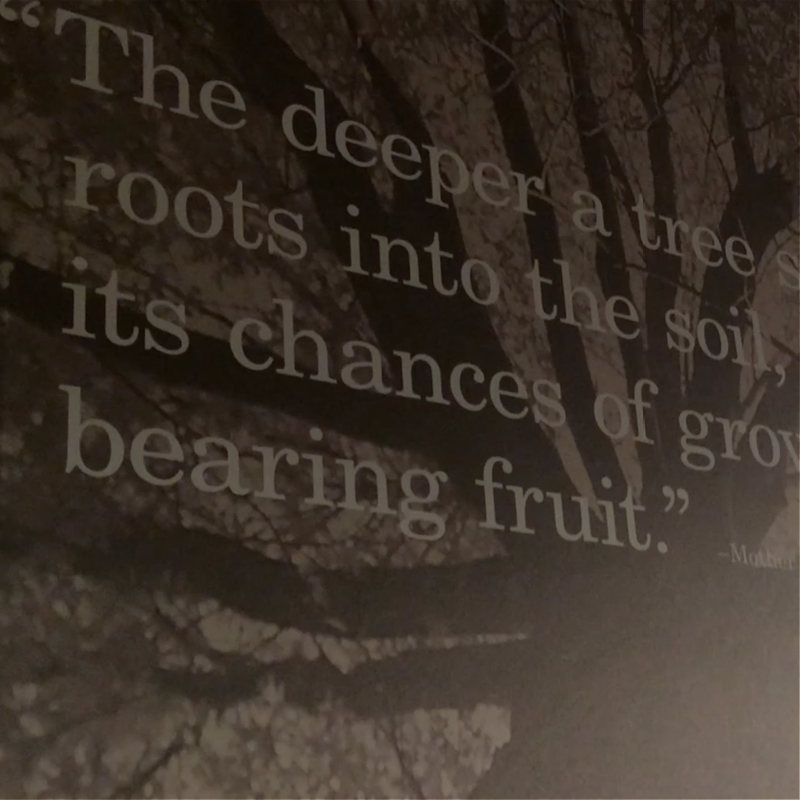 We designed two 12 x 24 foot walls that carry text elements, historic imagery, and a unifying timeline. After the collaborative design process, we worked with the fabrication firm to insure integrity of the design.